Login is a contemporary dance piece dealing with our increasingly digital lives and consequences of existing in hyper-reality. What if our our digital reality breaks apart? 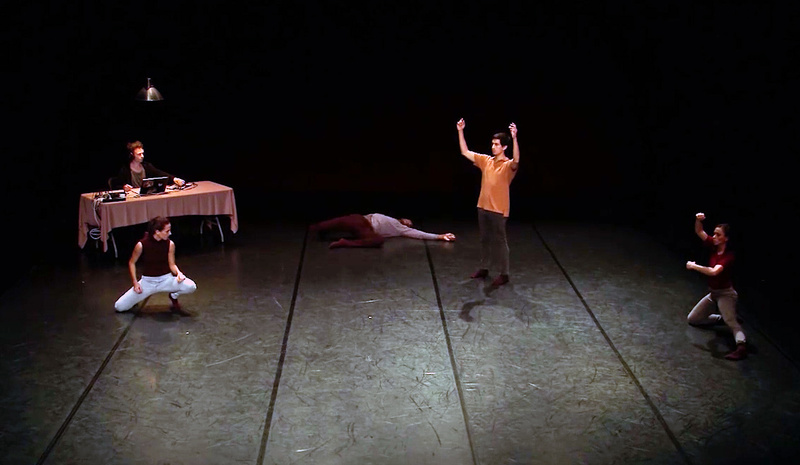 The piece is by Catalunian choreographer Nuria Guiu Sagarra, a continuation of our work from La Muda (2013). I created the music and sound design, and performed it live on stage together with dancers Antonella Sampieri, Julia Robert, Lautaro Reyes, and Rudi Cole. Light design by Jordi Baldo. The performances in December 2014 was at Mercat De Les Flores, a performing arts theatre in Barcelona, part of the SALMON Festival for new European performance arts.